I Travel the Open Road: Dispatches Drenched in Lung Sauce, or, It's Cool Season, Hurrah! 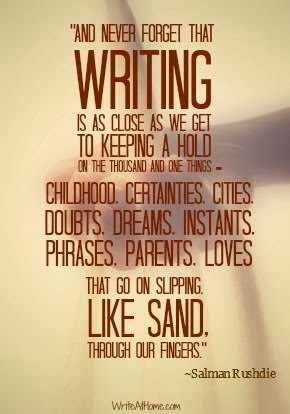 Dispatches Drenched in Lung Sauce, or, It's Cool Season, Hurrah! I googled "pneumonia cartoons" just to see what would pop up. 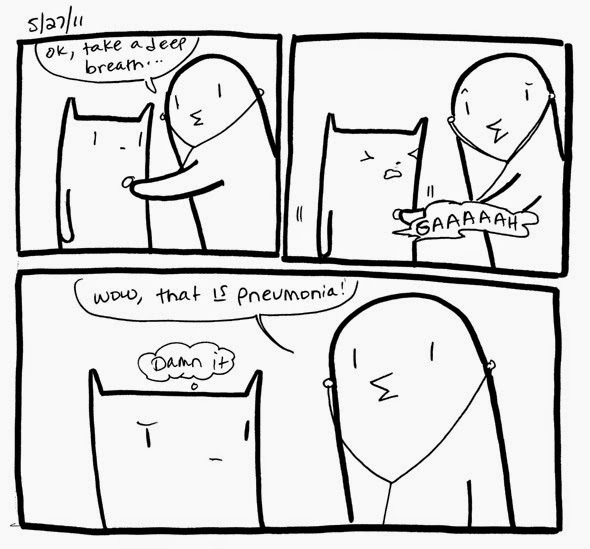 This is a verbatim transcript of my doctor's visit, as written by a random internet stranger who makes Square Cat Comics. To be fair, what turned into pneumonia was really good at disguising itself, initially, as no more than a common chest cold, a kennel cough I had heard barking its way through most of my expat comrades. When I woke up with a phlegmy brick lodged generally between the area of my throat and chest, I assumed it was my turn to pass the bacterial mantle and approached the situation with Mucinex and phenylephrine and water. Having taken those things, I continued on with my fun-filled boat racing holiday. I also assumed that lots of dancing would dislodge all that junk in my chest and help it work its way out. Afternoon naps and hours long brunches after late nights, liberally applied, rounded out my treatment plan. And so a week after I began hacking and struggling and snotting my way through the days, I woke up to a serious turn of respiratory events. I really just couldn't breathe that well. My head ached and I was weak. My lungs had painful rings of "I'm fuuuuuuuuuuuuuucked uuuuuuuuuuup" throbbing at me from the bottom, and I was coughing up blood thanks to my throat being so raw it was tapping out and giving itself to escape. I've had walking pneumonia before, so I knew what was up. A quick visit to the doctor confirmed it, and then I basically just spent a week lurking on floor mattresses and having food brought to me and taking lots of antibiotics and trying not to have panic attacks when I woke up coughing unto choking unto vomiting. I watched the Grand Budapest Hotel three times. I slept a lot. I missed sitting upright. I has a plastic water bottle spittoon next to my bed and I do think tobacco would have been less gross. I wore the same clothes for three days, and showered about every two. There was no internet 99% of the time, which was good, because I would have googled things I didn't need to google. I was horizontal with my eyes closed, not talking or sleeping, for hours at a time. In the absence of pneumonia, it could have been a pretty relaxing time, altogether. In the presence of pneumonia plus lovely caretakers, it was bearable. Speaking of, I need to make a full stop right here and say that during and after I was/am overwhelmed by the kindness of my family of friends here when it came to stepping in and taking care of me. I was talked to and visited and texted and called and messaged and fed and petted and held and hosted and movie watched with and overall treated to the kind of care that reminds me that I should thank my lucky stars to have fallen in with such stellar human beings. I live alone and I love it, but being sick, and being sick overseas, is too much even for my ultra private introvert ways. When I can't breathe, I want to be surrounded by people who know things like emergency numbers and how to get me where I need to be if I can't explain it. And I was surrounded by Very Good People. This was infinitely better than last year, when I was fever stricken and puking in the street, pondering throwing bricks at people, and returning home to little more than scrawny street cats. Progress is made. Today I'm coming to terms with the reality that is taking a week off from work and grad school, which means an epic backlog of both. As a result, I am, of course, lounging in a coffeeshop because my internet at home is, once again, not working. I asked for lemon tea, but they just brought me hot water, which is really just as good at the end of the day. I write to you while I sip hot water and watch small Korean children stumble around the chair legs of their parents. The lights are yellow and the ceiling looks like a field of inverted wooden Tetris. I'm on a futon. I'm resisting the urge to lie down, which is very hard because there are legitimate bed pillows on this thing. More hot water. So sleepy. I know when I leave that I will go home and crawl into my bed and not need to use the AC, because the fan is starting to be enough. As I was riding my motorbike here tonight I felt a creeping undercurrent of cool breeze sifting slow over my bare knees, under the rest of the humid heat. I slowed down and looked up- the night was clear and I could see some stars. The cool season is officially sliding in on the wet tracks of rainy season. I'm looking forward to cold motorbike rides home, the possibility of pants at night, a more lively social scene of events sure to not be rained out, and sharp clear mornings where my students will chide me about not wearing a sweater because I will get sick. Maybe I've gotten the getting sick out of the way. They're not doctors either. But maybe I will heed their warnings this year and bundle up just in case.